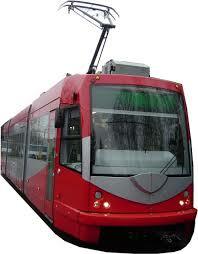 Central Piedmont is exploring the possibility of a partnership with the Charlotte Area Transit System (CATS). The results of this survey will help the college determine the need and feasibility of a partnership with CATS that may benefit students. Thank you for completing and submitting this survey by Feb. 4! Charlotte’s 1.5-mile streetcar line, originally set to open in March, has shifted its timeline to debut some time in June. Testing on the new line, originally set to occur before the end of 2014, will now begin in March 2014. For more information, please read this Railway Age article. In the mean time, please stay tuned to CPCC Today for future updates. 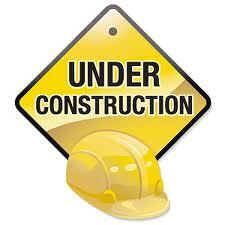 The intersection of Trade Street and Davidson Street will close Monday, January 27, 2014 at 9 a.m. and will reopen Monday, February 24, 2014 at 4:30 p.m. This closure is necessary to accommodate utility relocation related to the CityLYNX Gold Line – Phase 1. Motorists can expect congestion and additional delays in the project area. Motorists on northbound Davidson Street can use East Fourth Street, South Caldwell Street and East Fifth Street as a detour. Motorists on Southbound Davidson Street can use East Sixth Street, North Brevard Street, East Fifth Street, North Caldwell Street and East Third Street as a detour. Weather and unforeseen circumstances occasionally prevent work from being completed as scheduled, and make it unsafe to reopen lanes or streets when planned. When this occurs,City traffic engineers work directly with other City staff and contractors to resolve the situation as quickly as possible and reduce impacts to the traveling public. Pedestrians walking near work zone areas should be alert, cautious and allow extra traveling time. It is advised they cross at signalized intersections, use pedestrian walk signals where available and abide by detour signage. Motorists traveling through work zone areas should be alert and extra cautious. Drivers should get in the correct lane well in advance and constantly be on the lookout for vehicles merging into adjacent travel lanes as they approach a work zone. Drivers should double their following distance. Bring your valid CPCC student ID to the Central Campus bookstore to receive discounts on single or weekly bus passes! Prefer the light rail? Discounts also apply to the LYNX Blue Line light rail system as well.